P. ZEEMAN. The Effect of Magnetisation on the Nature of Light Emitted by a Substance. Nature. 1897-02-11, 55 (1424): 347–347 [2018-04-02]. doi:10.1038/055347a0 （英语）. The influence of a magnetic field on radiation frequency. Proceedings of the Royal Society of London. 1897-01-01, 60 (359-367): 513–514 [2018-04-02]. ISSN 0370-1662. doi:10.1098/rspl.1896.0079 （英语）. The influence of a magnetic field on radiation frequency. Proceedings of the Royal Society of London. 1897-01-01, 60 (359-367): 514–515 [2018-04-02]. ISSN 0370-1662. doi:10.1098/rspl.1896.0080 （英语）. Zeeman, P. Fresnel's coefficient for light of different colours. (First part). Royal Netherlands Academy of Art and Sciences, Proceedings. 1914, 17 (I): 445–451. Zeeman, P. Fresnel's coefficient for light of different colours. (Second part). Royal Netherlands Academy of Art and Sciences, Proceedings. 1915, 18 (I): 398–408. 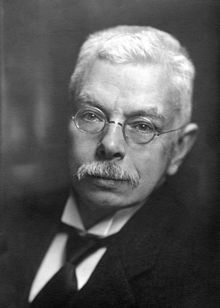 ^ 1.0 1.1 1.2 Pieter Zeeman - Biography. The Nobel Foundation. [2013-03-09]. ^ P. Zeeman. The Effect of Magnetisation on the Nature of Light Emitted by a Substance. Classic Papers. chemteam. [2013-03-09]. ^ Rayleigh. Pieter Zeeman 1865-1943. Obituary Notices of Fellows of the Royal Society. 1944-11-01, 4 (13): 591–595 [2018-04-02]. ISSN 1479-571X. doi:10.1098/rsbm.1944.0010 （英语）.